In the late spring of 2009, the debut album of a hitherto unknown band from Oakland (California), by the idiosyncratically-spelled name of miRthkon, made waves on the progressive rock scene. A monumental, 70-minute slab of quirky, Zappaesque avant-progressive rock with a healthy dose of metal-inspired energy and intriguing references to contemporary classical music – a package rounded out by outstanding artwork and a wacky background mythology – Vehicle was mentioned by many (including myself) in their personal “best of 2009” lists. Once again, Marcello Marinone and his AltrOck Productions cohorts had unearthed a gem. Founded around 2005 by guitarist/composer Wally Scharold, miRthkon went through the customary stages of upheaval (and the release of EP The Joy of Illusion) before stabilizing their lineup. With two new members on board – guitarist Travis Andrews and bassist/keyboardistMatt Lebofsky (also a member of Secret Chiefs 3 and MoeTar) replacing Rob Pumpelly and Nat Hawkes – the band are a solid six-piece propelled by a twin-guitar and twin-reed attack that sets them apart from almost everyone else. A quintessential live outfit, they have recently managed to bring their unique brand of progressive rock to Europe. Indeed, after Scharold recovered from some health issues that had forced the band to cancel the second half of their 2012 tour with MoeTar, 2013 has proved to be very good year for miRthkon as a live act, with successful appearances at the first edition of Seaprog in Seattle, the 2013 edition of the Rock in Opposition Festival in Carmaux, and a one-day festival organized by the AltrOck staff in Milan. In addition to their busy concert schedule, the band have spent a good part of the past few years working on the follow-up to Vehicle – a full-length album by the title of Snack(s), which was finally released in the autumn of 2013, following the band’s European tour. Though miRthkon are anything but your conventional “nostalgia prog” band, they seem to have learned an important lesson from the genre’s golden age: that is, the importance of the visual aspect. Their albums are not just challenging sonic buffets of wide-ranging eclecticism, but also visual feasts that display another facet of Wally Scharold’s considerable talent. Snack(s)’s artwork is a true stroke of genius, a parody of modern society’s addiction to junk food, with the cover and each page of the booklet imitating the packaging of some popular snacks, down to the mandatory (in the US at least) nutritional breakdown – which contains detailed information about each track, including the daunting time signatures, as well as the lyrics cleverly disguised as “ingredients”. Not your average Roger Dean opus for sure, but extremely well-made, and hugely entertaining. Though it might raise eyebrows, the “avant-garde metal” tag that has been attached to miRthkon is not as far-fetched as it may seem. The combination of deadpan humour and highbrow references is far from uncommon in the world of technical/avant-garde metal, though miRthkon take it up a notch and imbue their heady genre-bending blend with the jazz-tinged energy of Carolyn Walter and Jamison Smeltz’s array of reeds. Indeed, Snack(s) is the kind of album that will keep you on the edge of your seat, not knowing if that low-key, almost conventionally melodic passage will erupt into chaos (albeit of the controlled variety) in just a couple of seconds. Most of the album’s 10 tracks were written by either Scharold or Lebovsky, with the notable exception of an unrecognizable version of Samuel Barber’s piano piece “Nocturne” (which was part of the band’s setlist at the Orion Studios in August 2012), and a similarly idiosyncratic cover of Black Sabbath’s “Fairies Wear Boots”. 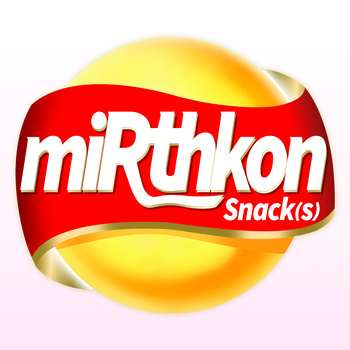 Compared to Vehicle, Snack(s) is more focused (also in virtue of being almost 15 minutes shorter) and also somewhat heavier, though losing none of the compositional complexity that had made miRthkon’s debut so riveting. Crushingly heavy guitar riffs coexist with joyfully blaring reeds in the exhilarating jazz-metal blend tinged with ska (of all things!) of opener “QXP-13 Space Modulator”, a hyper-energetic instrumental that prepares the listener for the mind-boggling twists and turns of “Eat a Bag of DiX”, which juxtaposes brooding chamber-like sections with electrifying guitar forays and almost punk vocals. “Hapax Legomena” ’s deceptively laid-back, jazzy intro soon turns into a bracing duel between guitars and reeds; while wistful clarinet keeps the classical flavour in “Nocturne”, though offset by the guitars and spiked by an odd reggae-like rhythm. The first half of the album ends with the angular yet atmospheric heaviness (and rather apocalyptic lyrics) of “The Cascades”, enhanced by the organic sound of the glockenspiel, organ and piano. Eerie electronic effects and upbeat, anthemic singing pepper the 7-minute “Snack(s) – The Song!”, driven by Matt Guggemos’ spectacular drumming and reeds blaring in unison. The sinuous, faintly disturbing first half of “Osedax” again brings melody into the equation, with haunting clarinet and a brief yet striking bass-guitar duet followed by a choppy, drum-driven section complete with shouting vocals at the end. After the maze-like complexity of the multilayered “Mymaridae”- whose inexhaustible intensity evokes a swarm of the titular “microscopic parasitic wasps” in a textbook example of controlled chaos – the less than 3 minutes of the bassoon-led “Variety Pack” provide a short but welcome oasis of calm before the grand finale. The longest track on the album, miRthkon’s take on “Fairies Wear Boots” keeps the spirit of the original even in its “deconstructive” approach, replacing Tony Iommi’s iconic riffing with a spirited double baritone sax attack, and Scharold channeling his inner Ozzy Osbourne in a very aggressive vocal turn. The somewhat clichéd expression “not for the faint-hearted” seems to have been tailor-made for miRthkon. Snack(s), just like the band’s live shows, is a constant adrenaline rush, with only occasional moments of respite, and therefore not very likely to make a dent in the convictions of those who equate prog with lush melodies and grandiose, quasi-symphonic arrangements. Such intense music, almost relentless at times, may require a lot of concentration on the part of the listener. In any case, Snack(s) is one of the most original albums released in 2013, and a must-listen for fans of truly progressive, challenging music. Highly recommended to anyone wishing to step out of their comfort zone.